One of our “big” family goals this year (possibly the biggest) is for us to buy a bigger home and move. Whether that is closer to our families, here in the same town or somewhere in between, we aren’t 100% sure right now…only that we need and want more space. We’ve lived here in our back to back to back since Ethan was born, it has been the only home the kids know and has been our hideaway through good and bad. It initially was lovely. But 3 kids later it all just feels a little cramped, cluttered, and I have lost any ounce of inspiration to decorate it! As a result I have loved scrolling through Pinterest and dreaming of what I really want in my home, how I would decorate it and generally the lovely things I want to put in our next pad! First of all there are two things I want need in my life when raising a family, that I don’t have right now and that are essentials in the next place. 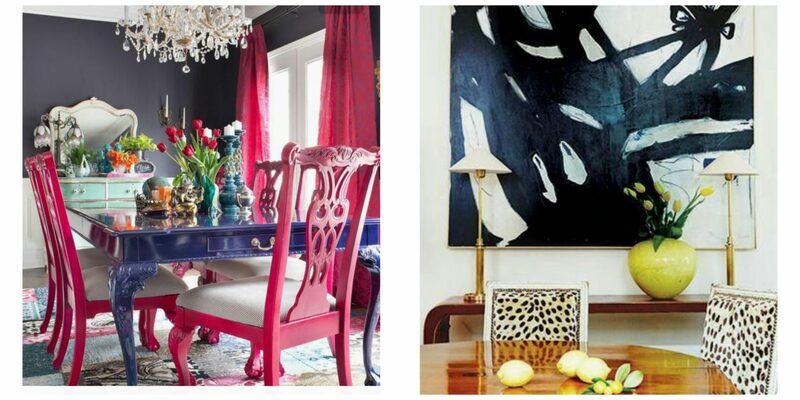 One is a hallway (I hate the coats, buggy and shoes being in the lounge) and the other is most definitely a dining room. Somewhere separate to eat, some where to socialise and a place again separate to the lounge to keep eating and relaxing apart. Food and sofas don’t really mix and I can’t wait to have them as separate spaces. I would love an open plan kitchen diner, to satisfy my dreams of cooking/baking whilst the kids sit around the table doing homework, colouring or lego. But I would just generally be happy with a lovely dining table in a room separate to our lounge (which at the moment holds everything). I like a lot of colour and patterns in my interiors and am partial to a bit of bling too, but at the same time feel, when decorating, that I have to bear in mind that it also needs to be family friendly too. Whilst I would love a plush dining space, it also needs to be Smith kid appropriate, as plush and my kids don’t tend to mix too well. 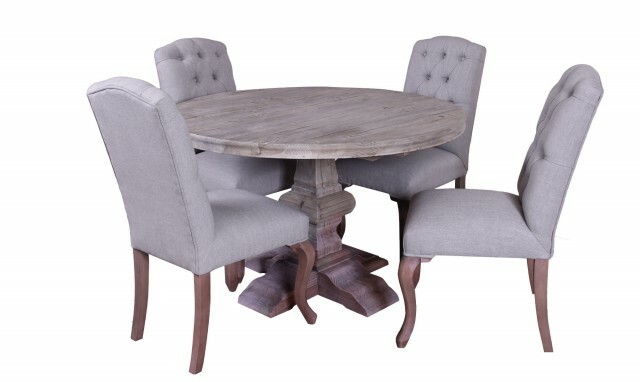 In my pining and searches I came across some really great statement dining sets from Fishpools, which would most certainly be in my dream dining space. I just love the bling/wow factor and they make me happy to look at! 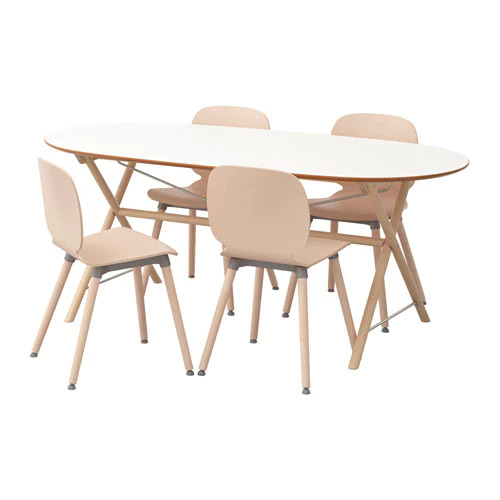 On a realistic note though I think that my kids would completely abuse anything crushed velvet and shiny topped (and glass tables would be a huge no), and so I am looking more at something in the wooden and plastic ranges from them, or this one from Ikea its very lovely too. 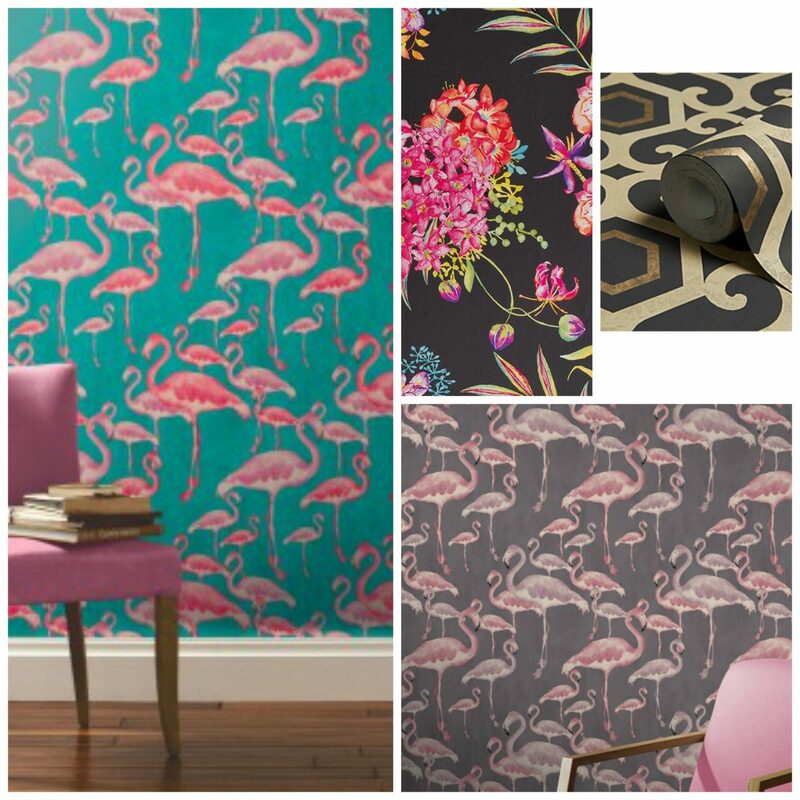 I also like the idea of a statement wallpaper to bring in more colour and “me” to the space – either geometric, bright flowers/stripes, or the one I am most loving… flamingos! A shade wilder have some brilliant ones (all be it quite pricey too), but there just as lovely ones in B&Q too. 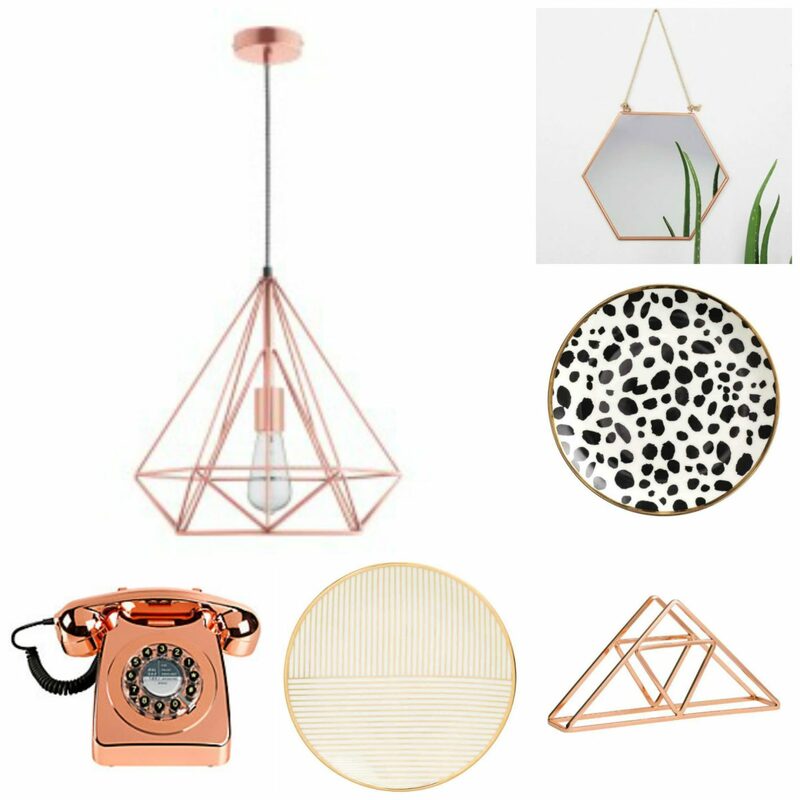 And to finish it off here are some accessories I am absolutely loving right now… the plate options are from H&M home and light from Habitat. The Phone is from John Lewis and it is all so very cool, magpie like and right down my street! As I lay it all out like this I think I would absolutely love to go down the grey, pink and copper route, But as I am always changing my mind don’t hold me to it. I just feel so joyful looking at those things together, and would go super well with our current Ikea flamingo glasses. Whatever I choose though, that’s a secondary goal as we need to still find a house with space to fulfil our dream of a dining room (amongst other things! Its a new year, New us and most definitely a new house for a new chapter – I can’t wait! Do you have any Dining or other DIY projects in the pipeline? BOOST – Power at Your Fingertips! I love those accessories!! Like you I do like that subtle copper touch as it looks great on any type of background. Also, I’m glad someone else shares my pain when you see a perfect item for your space but you know a certain little child is going to cause themselves an accident. I hope you don’t mind but my friend has started a blog called These Random Acts, a home, family and lifestyle blog, focusing on setting and achieving goals as well as performing random acts of kindness. She would love to hear your feedback and to also hear some of your own personal goals! Hello Mary, It looks great on any type of background. Everything is so cute. I love sofa collection and wall paint the most. Thank you for sharing such an amazing blog.